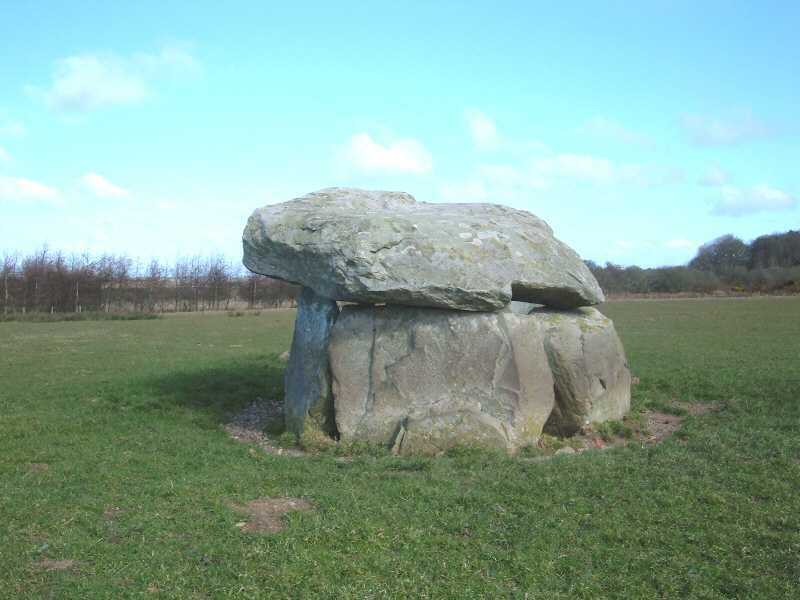 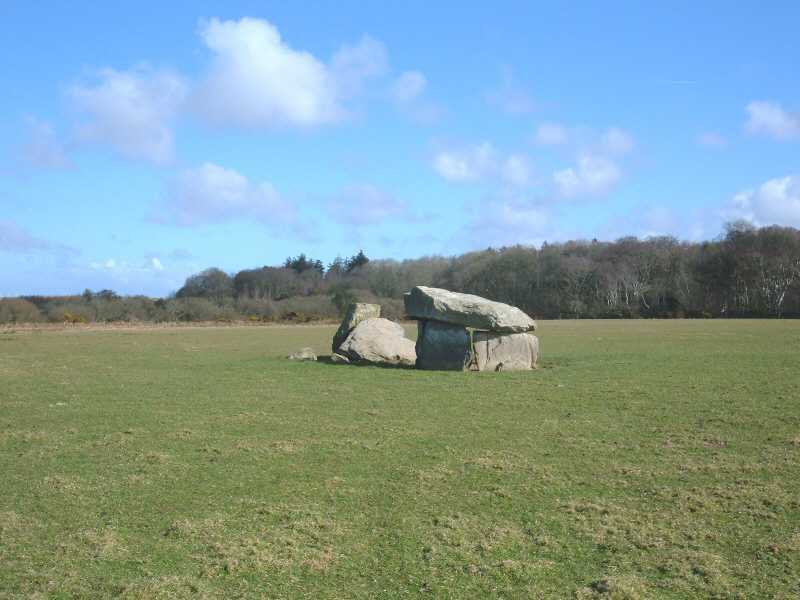 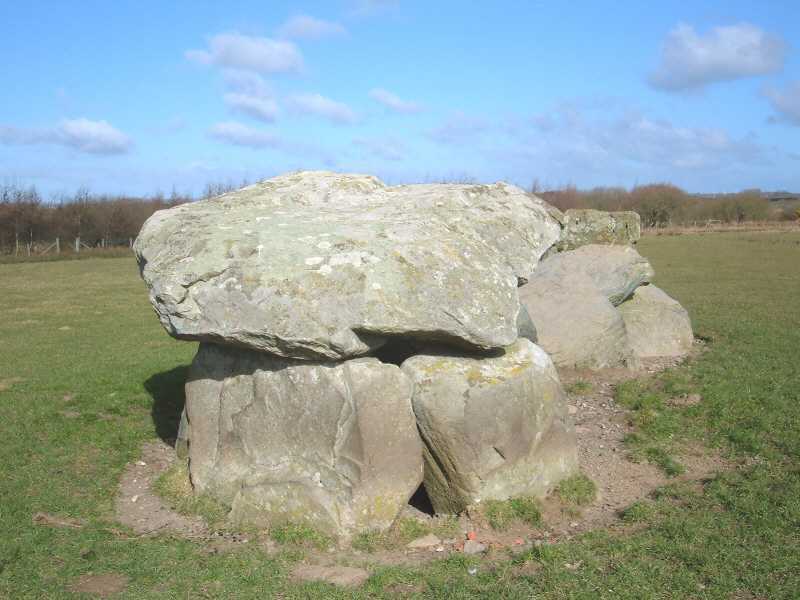 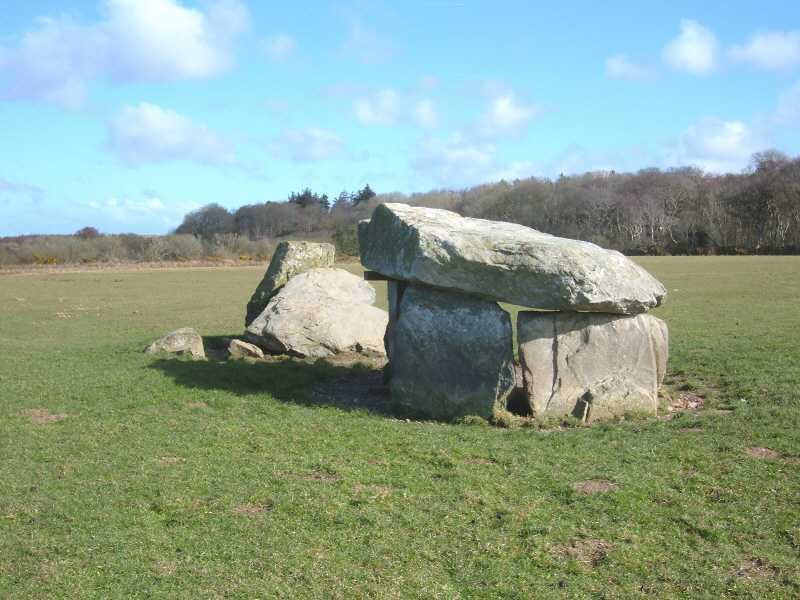 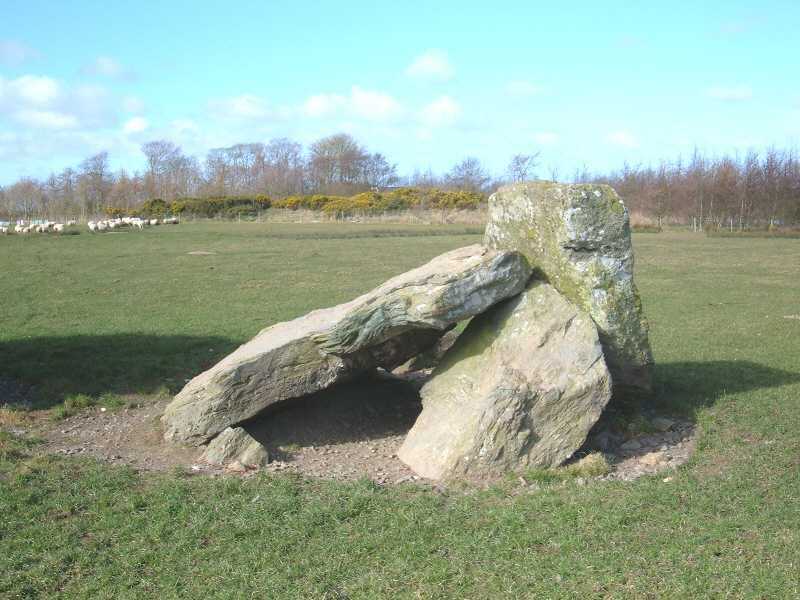 Presaddfed Burial Chambers on Anglesey - an ancient monument on the island of Anglesey. 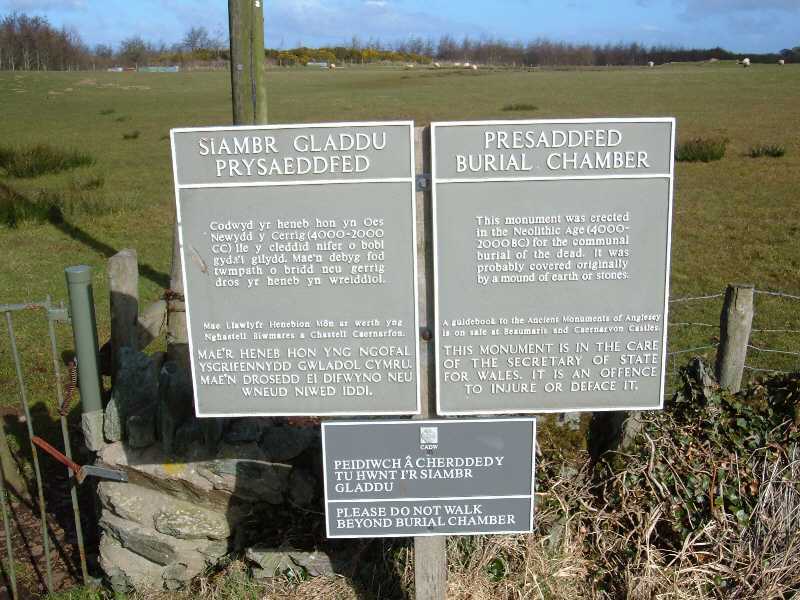 Presaddfed Burial Chambers SH 347809. 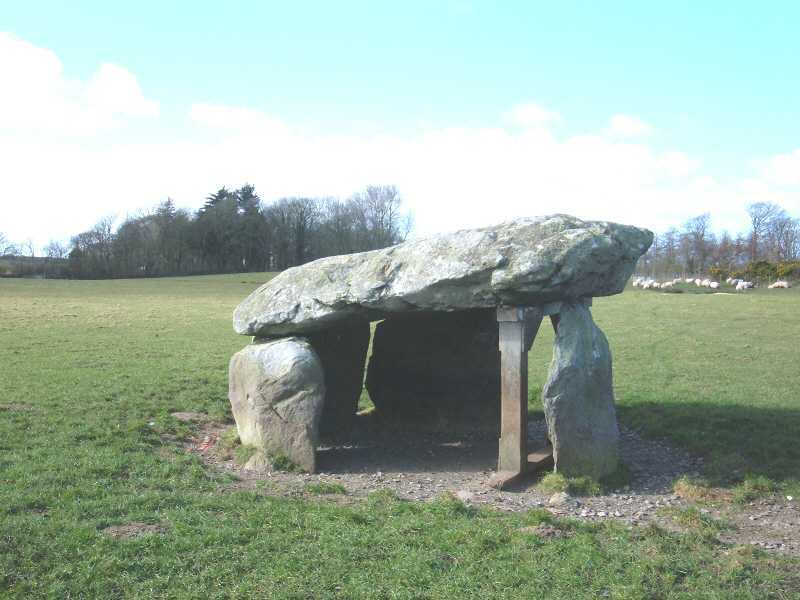 These burial chambers are located just on the outskirts of the village of Bodedern on an estate named Presaddfed. 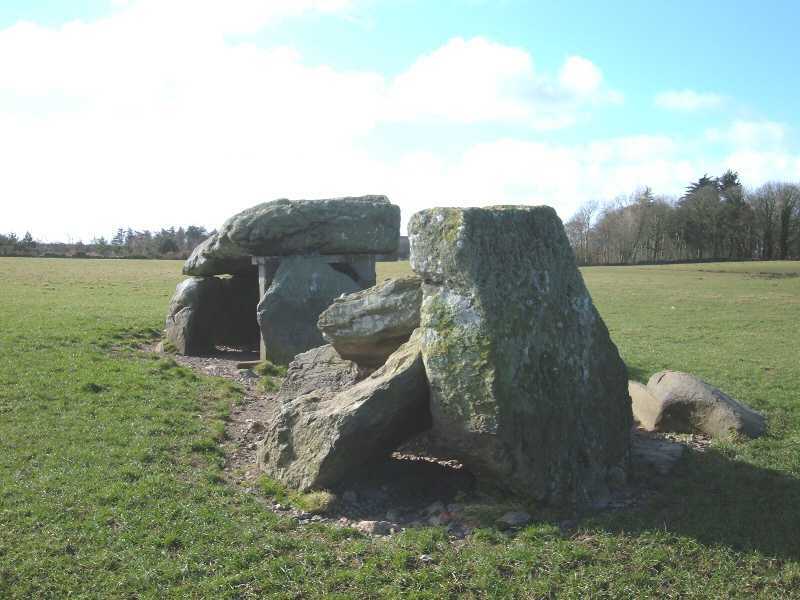 There are the remains of two Neolithic burial chambers, possibly a portal tomb. 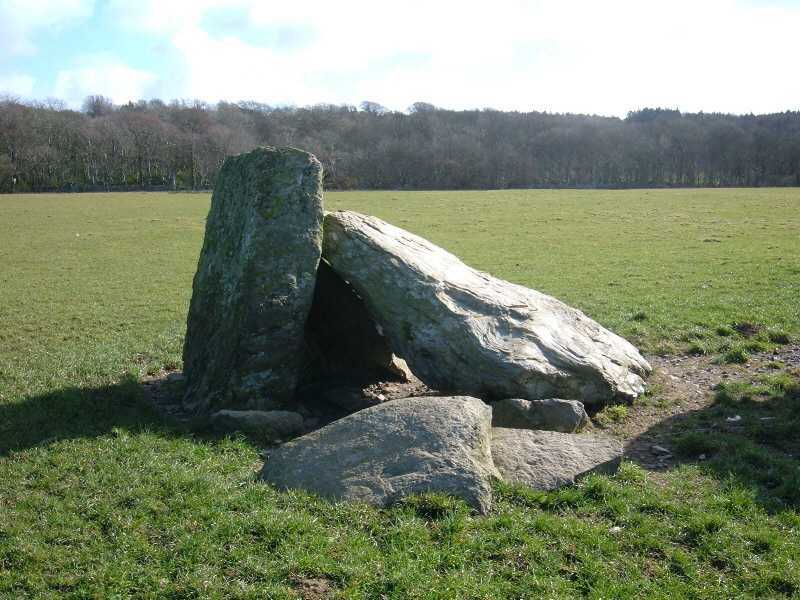 Amazingly they were reputedly used in the 1700`s as a squat (for a small family?). 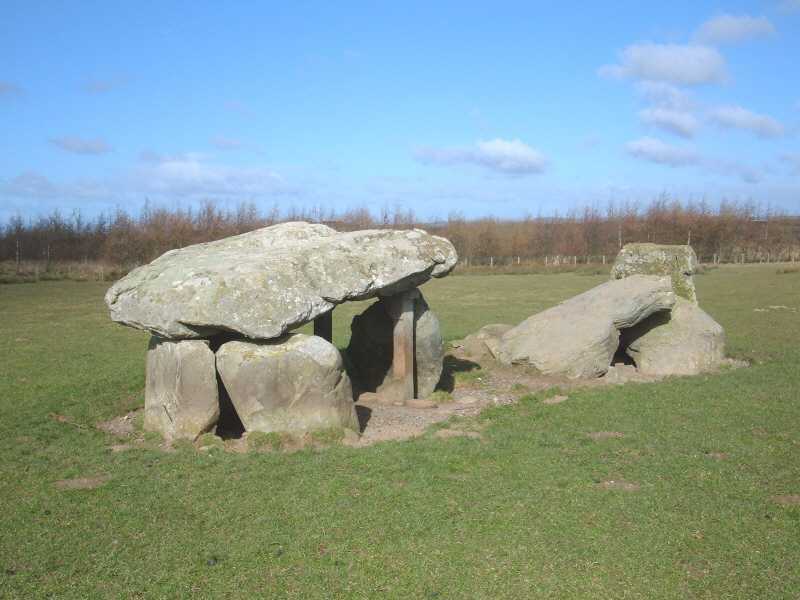 Of the two chambers, one is now supported by a solid wooden stilt, and the other has collapsed.